With his first start since 2014, Colt McCoy returns to Texas in charge of trying to salvage Washington's hold on first place and the rest of the season. 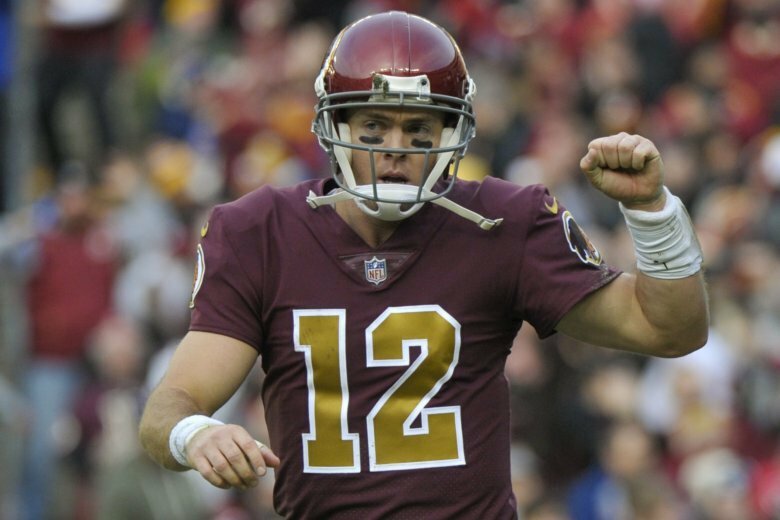 WASHINGTON — The last time Colt McCoy started an NFL game was in 2014. McCoy started three games that year for the Redskins with the first start coming in Dallas, as the 2-5 Redskins turned to their third string quarterback on Monday Night Football at Jerry World against the first place Cowboys, and he delivered. He finished 25 of 30 for 299 yards and ran for a seven-yard touchdown as the Redskins prevailed in overtime, 20-17. That snapped the Cowboys’ six-game winning streak and helped Washington win back-to-back games for the first time since the end of the 2012 season. McCoy gets another shot at the Cowboys on Thursday in a pivotal game, as Dallas is now just one game behind the Washington in the NFC East. He hates to have the opportunity come up this way, but knows that this is the NFL and you have to move on. While he feels horrible for Alex Smith, McCoy is at ease knowing Smith is behind him 100 percent. How much does he remember about that Monday night four years ago, and how similar is the situation Thanksgiving Day? The Redskins beat the Cowboys in October, so memories are still somewhat fresh in Washington’s locker room. As he heads back to Texas, close to where he grew up in Tuscola, McCoy knows he has the support of his hometown. McCoy is presented with a great opportunity in front of him. He takes over for a first-place team against its most hated rival on national television. He has prepared his whole career for opportunities like this and his coach has the utmost trust in him. McCoy just wants to keep it simple on Thursday.